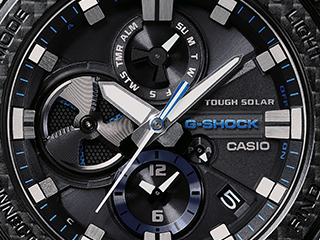 DOVER, NEW JERSEY, SEPTEMBER 13, 2018 - Today, Casio G-SHOCK unveils the latest additions to the Men’s Power Trainer Series with the release of the GBD800. 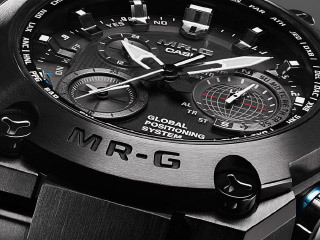 Available in two color ways of black with red accents (GBD800-1) and black with neon green accents (GBD800-8), the models are compatible with the G-SHOCK Connected app and include new technical features such as a re-designed full digital display and phone finder function through Bluetooth Mobile Link. 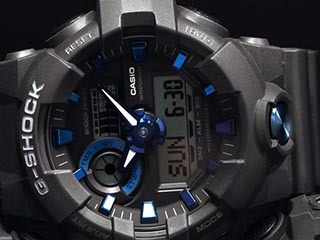 The models come on the heels of the analog-digital GBA800, which was released earlier this year in partnership with U.S. Olympian and G-SHOCK brand ambassador Louie Vito. 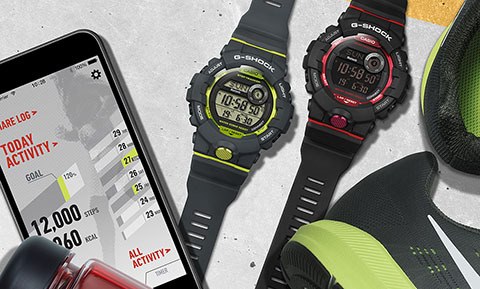 Geared towards athletes and active individuals, the GBD800 features a step tracker function that breaks down daily steps taken in five metabolic equivalent levels (MET) – all of which are displayed in a graph via the G-SHOCK Connected app. 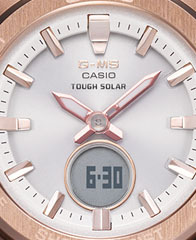 The watch also boasts a work-out timer with up to five intervals and an updated digital display of three different rows to easily track fitness progress. 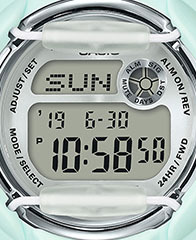 Toggling between modes, the top display showcases a step graph and lap number, while the mid display showcases time and the bottom display showcases the total number of laps and steps. 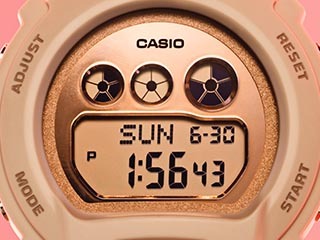 Other key features include a built-in stopwatch with 200-record memory, an auto super illuminator LED light, target alarm and auto time update capabilities. 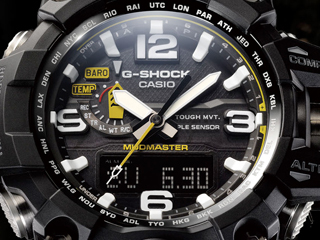 The GBD800-1 and GBD800-8 will retail at $99 and will be available for purchase beginning in October 2018 at G-SHOCK retailers including Macy’s, the G-SHOCK Soho Store, and gshock.com.